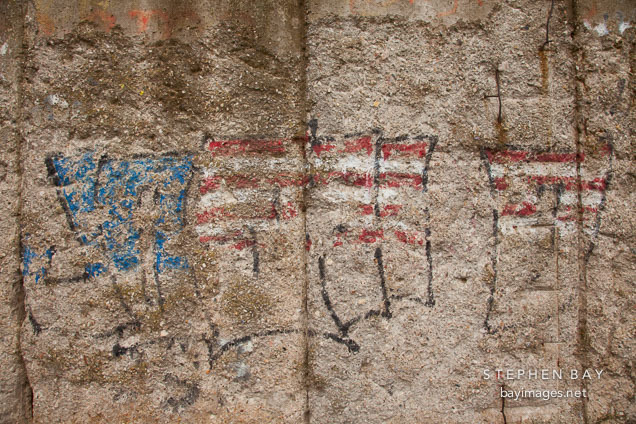 Photo: Worn graffiti on the Berlin Wall. Berlin, Germany. Worn graffiti on the Berlin Wall. Berlin, Germany.